Please note, no cannabis will be consumed onsite. As with all things in life, please enjoy responsibly. 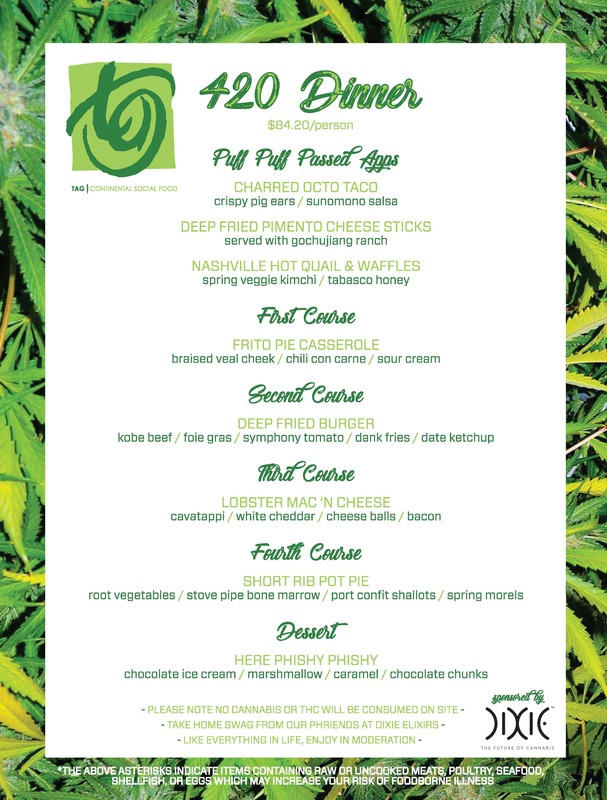 Whether you puff or choose to pass, TAG Restaurant has the most crave-able 420 menu in the "high" country! On Saturday, April 20th, elevate your munchies and mingle with like minded locals over Cheeto dusted appetizers and Capri Sun inspired cocktails, followed by a five course feast. Last year's event sold out faster than you can say "Wille Nelson's Tour Bus"
Take home swag provided by our friends at Dixie Elixirs!